What a busy busy week. There was not a single moment to sit down or breathe. So glad the craziness is over. Last week was our accreditation. It was a long long stressful 4 day process but we all did great and we passed!!! We are now internationally accredited and are good for another few years. While that craziness was going on throughout the school and our classrooms, we attempted to learn about Space. The kids were so excited and have been begging for this week to come. I am not sure how we fit everything in but somehow we did a ton of things! We talked a lot about astronauts and what it would be like to go into Space. We even talked about food that astronauts eat. So of course we had to try some astronaut ice cream! They were a little skeptical at first and very slow at tasting the astronaut food. But once it touched their tongue, they quickly gobbled it down and loved it! They said it "melted in their mouth" and "tasted like chocolate pudding!" We then worked on our measuring skills. I used DeeDee's pack for the scale model of the distance between the planets. We talked about the inner planets and the outer planets. We then measured the distance of each planet from the sun with our shoes! Learning is always better when your shoes are off! They were surprised at how far away some of the planets are. In one of our stories, it said that when an astronaut takes a step on the moon, because of the little gravity on the moon, each step is 30 feet long. We definitely had to try this one out. They definitely thought they could take a step 30 feet long too. I measured a piece of tape 30 feet long and placed it on the floor. Each kid attempted to jump the entire distance but they did not quite make it. Our farthest jump was only 6 feet. It took us 8 jumps to make it to the end of the 30 feet. Thanks for this great idea Caitlin! We also learned about how the craters on the moon were formed. Jennifer had the perfect way for us to explore this hands on. We filled a plate with flour (to represent the moon) and had balls (asteroids) crash into the moon to form craters! This was very messy so I thought we would do this one outside. Trying not to get the custodians on my bad side :) This was definitely a hit and helped the concept really sink in. Since they could not take a piece of this home, we made a mini version using Plaster of Paris. What better way to end our space unit than with a dessert straight from the moon. Moon Pies!!!! Friday was also our Field Day! Our PTO worked so hard tye dying amazing shirts for every one of our students and teachers. Have I ever said that we have a beyond amazing PTO! I heart them! Field Day was a perfect way to end our busy stressful week. They loved every minute of it. Now, I have to do a personal brag really quick. Friday right after work, I rushed to my daughter's school to pick her up for her regional speech competition. I was so nervous for her but she did amazing! Her speech was a demonstration speech on "How to Build a Robot." She was amazing! And she won 1st place!!!!! We are now on our way to State competition in July!!! I could not be any prouder of her! Now I guess I owe her a new dress for competition. We celebrated her amazing victory with our community Movies in the Park and her favorite movie, Pitch Perfect! We are so excited about Pitch Perfect 2. Hurry up May 15!!!! Now on to next week. Next week we will be digging into prehistoric times to learn about dinosaurs! Here's a quick peek at our plans. 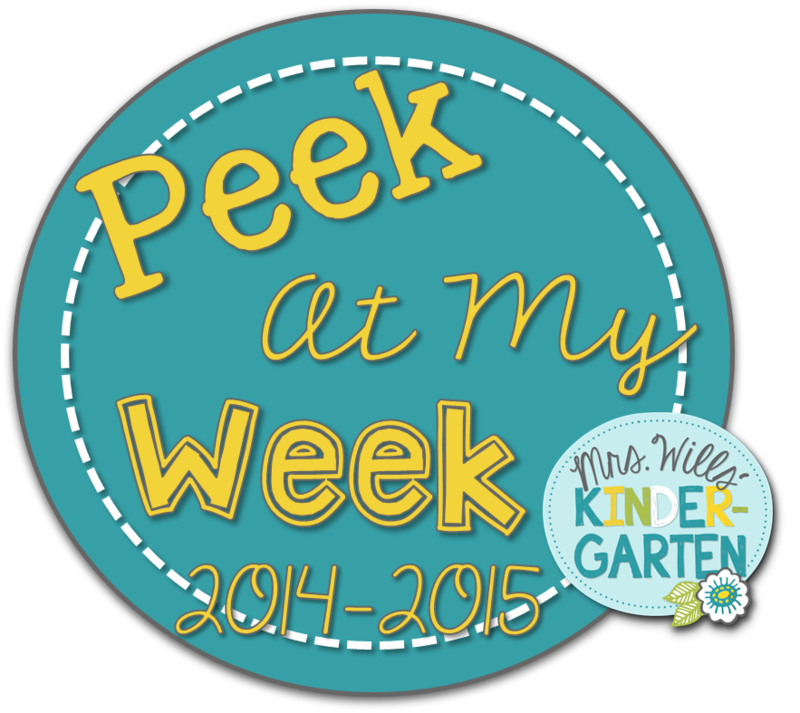 Now head on over to DeeDee's blog to see what others will be up to next week!